The World Bank has announced the mobilisation of nearly $ 200 billion in climate finance. It was on the occasion of the 24th UN Climate Conference in Poland (COP24). One quarter of the money will be used to finance climate change adaptation projects in Southern countries, particularly in Africa. The World Bank has decided to break with the old habits as far as climate finance is concerned. At a time when climate finance is mainly focused on actions to reduce greenhouse gas emissions, particularly on the development of renewable energies, the Bretton Woods institution commits itself, for its 2021-2025 plan, to support adaptation to the effects of climate change in developing countries. “We need to fight the causes but also to adapt to the consequences that are often the most dramatic for the world’s poorest countries,” said Kristalina Georgieva, executive director of the World Bank. And according to John Roome, head of the climate file of the Bank, needs in adaptation to climate disasters will be much more accentuated in Africa, especially in countries such as Chad and Mozambique. “If we do not reduce emissions and do not implement adaptation now, there will be 100 million more people living in poverty by 2030,” he said. And the number of “climatic migrants could multiply, reaching 143 million by 2050 in only three regions (Africa, South Asia and Latin America)”. In concrete terms, these amounts will make it possible, among other things, to finance the construction of dikes, raised habitats and weather warning systems. Infrastructure that will overcome rising sea levels, floods, and droughts. The World Bank’s announcement, in favour of the COP 24 of Katowice in Poland, is necessarily consecutive to one of the demands of the African states, expressed since the COP 22 of 2016 in Morocco: the destination of the funds.The countries of the North thus more often, favour the financing of projects for the reduction of polluting emissions, whereas the African countries especially need the help to adapt to climate change. “It’s bad faith,” says Nicaise Moulombi of the Gabonese NGO, Growth and Environment, because, “Africa emits less than 4% of global greenhouse gas emissions, but it suffers from the global warming “. She adds. In addition, the World Bank has set the example for the countries of the North. 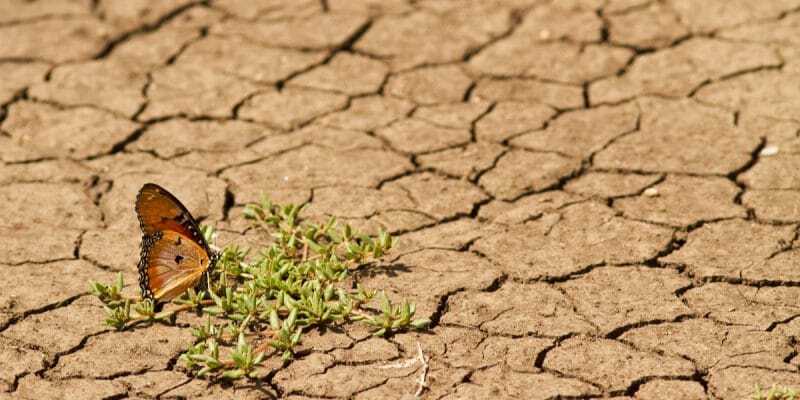 It is in total, nearly $ 200 billion that the bank intends to mobilise between 2021 and 2025 to help developing countries face climate change, a “doubling” from the previous period. “This is an important signal for the international community to do the same,” says the World Bank. It is another issue for Africa at COP24. The poorest countries are seizing the opportunity, calling on the countries of the North to keep their promise to increase to 100 billion euros per year, by 2020, their funding for climate policies in the South. While, according to a study by the NGO Oxfam, published last May, less than half of these funds have been released. On the African continent, the failure of developed countries to respect their commitments is badly experienced by civil society organisations. “Every year, Africa suffers record droughts and floods. These funds are not a favour granted by Northern countries to African countries. It’s just their responsibility and we do not like the way negotiations are progressing, because it is really slow,” deplores Augustin Ndjiamnshi, president of the Pan-African Alliance for Climate Justice.